Brian Agee is a former Touring Professional who relocated to the Northern Virginia area in 2008. He began his competitive playing career at the age of 13 in Roanoke, VA which led to an impressive junior/amateur record and ultimately landed him an Elon University scholarship. Upon graduation from Elon with a degree in Corporate Communications, Brian turned professional and competed on several tours including The Gateway Tour, The Tarheel Tour, The DP Tour, and The Nationwide Tour. Brian's teaching experience was cultivated during the time he spent instructing for the Hilton Head Island School of Golf from 2002 to 2004, as well as many individual lessons, group clinics and corporate lessons. During his playing career, Brian gained invaluable knowledge and developed strong fundamental based golf philosophies while under the tutelage of Krista Dunton (2002 LPGA National Teacher of the year and Golf Magazine top 100 instructor). 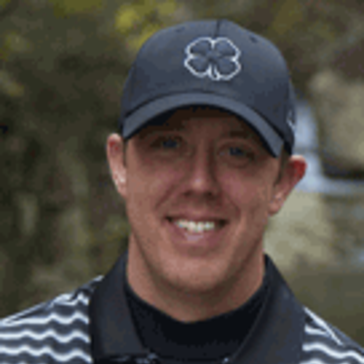 Brian has a strong passion for the game and is very excited about instructing students of all ages and skill levels.